JobStreet.com, the largest job site in the country, together with the Technological Institute of the Philippines (TIP) held the 3rd Philippine Engineering Student Congress at the Quezon City campus of the university. 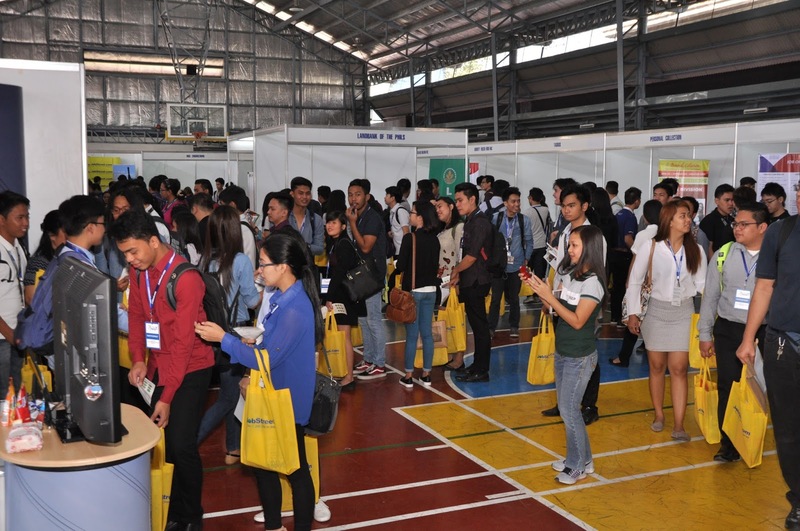 The event brought together graduating engineering students from all over Luzon in a venue where they could explore potential careers and learn about the profession they would soon enter. In attendance were 30 companies, including Coca-Cola FEMSA, Department of Energy (DOE), Filinvest Land Inc., Ginebra San Miguel, Meralco, Uratex Foam, AMMEX I-Support Corp, and Emerson Electric, among others. Companies provided talks about the future that awaits engineering graduates, and showcased career paths that they could take. The Congress was launched by opening remarks from TIP President Dr. Elizabeth Quirino-Lahoz. Speakers included JobStreet.com Country Manager Philip Gioca, Padilla Review Center President Engr. Perfecto Padilla, Jr., and representatives from various companies. Aside from the talks, there was also a Personality Development Session for students, a motivational talk, a quiz bee, and a presentation of project papers by T.I.P. Career Center students. According to Mr. Gioca, engineering-related professions are among the top 10 most advertised and most in-demand specializations year-on-year for both local and overseas jobs posted on JobStreet.com. 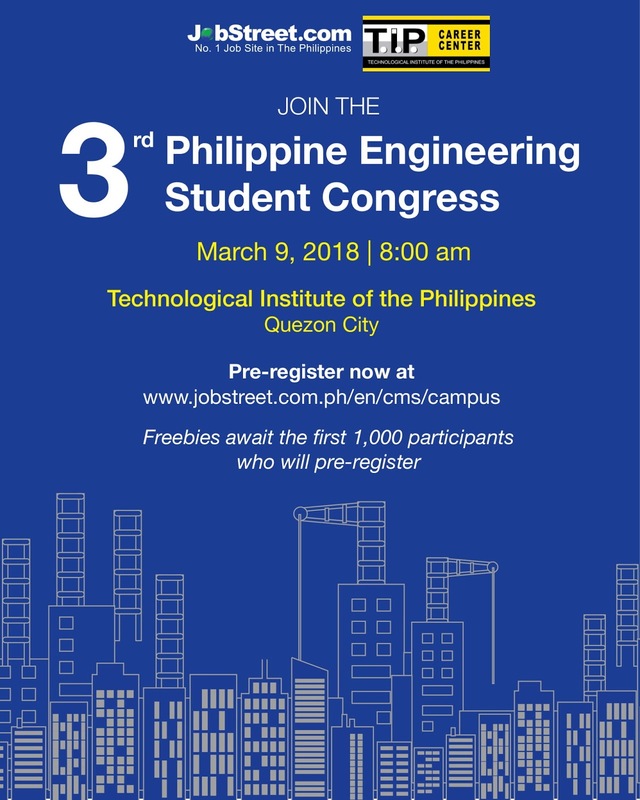 The Congress has been held annually since 2016 to inspire graduating students in preparing them for the career journey ahead, whether it be in the country or abroad. JobStreet.com is part of SEEK Asia, which is the leading online employment market place in Asia. SEEK Asia covers 7 countries namely Hong Kong, Indonesia, Malaysia, Philippines, Singapore, Thailand and Vietnam. T.I.P. is a professional higher education institution offering engineering, architecture, computing, business, teacher education, maritime, and arts programs. Twenty (20) of its engineering and computing programs have been accredited by the US-based ABET. T.I.P. is among the select schools identified by the United States Agency for International Development (USAID) Science, Technology, Research, and Innovation for Development (STRIDE) Program to receive technical assistance to develop a model career center on its campus patterned after those found in US universities.